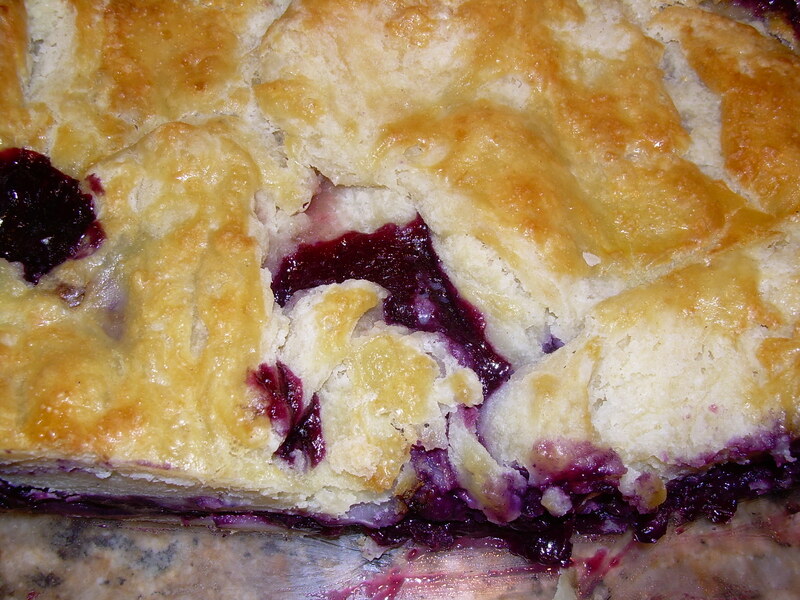 Mrs. Chow's Kitchen » Post Topic » Concord Grape Pie – You Want Pies With That? Preheat the oven to 400 F, and set the oven rack in the lower third of the oven. Roll out the pastry and put it in a 9-inch pie plate. Put it in the refrigerator. Seed the grapes, and drain the liquid from the seeded grapes and skins. Place the grapes and skins in a bowl, add the sugar and tapioca flour, and toss to combine. Pour this into the prepared pie plate, and roll out and top with the top crust. 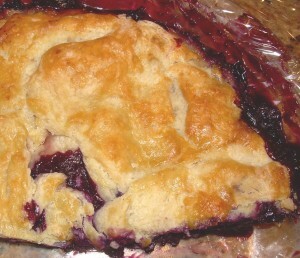 You can use a floating crust, as I did, because it leaves a pretty purple ring aong the outside of the pie. To do this, just roll the dough out slightly smaller than the width of the pie plate. Brush the beaten egg on the top crust and sprinkle with sugar if desired. Place pie on a baking sheet lined with parchment or a Silpat, and put in the lower third of the oven. Bake at 400 F for 30 minutes, then drop the temperature to 350 and bake about another 20 minutes until the juices are thick and bubbly. Wow, you seeded all the grapes youself! Amazing job! good choice! this one took a bit of thought! Yay! Purple! I love purple too and was totally excited when they were saying it is one of this season’s ‘in’ colors – not that I’ll be buying a new wardrobe or anything, but still. That pie sure does look great – Concord’s are the only kind of grapes I actually like. Yum! I cannot believe you didn’t save me any. Pie looks fabulous. Hooray purple! I think I have decided on one, will probably bake tomorrow. I did concord grape pie too. So delicious. I froze some juice + skins to make a pie in the winter. Won;t that be a breath of fresh air in like February! Oh, so much work! But it sounds delicious!!! I’ve never had a grape pie – sounds lovely. And I’m glad purple is the IN color! 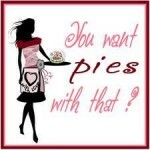 That’s so funny that you did a purple pie- I thought about that since purple is so in right now! I love that you tried grape and I bet it was delicious (even if it was a little fussy). Great job! I looove purple- great idea for a purple pie. I can’t believe you seeded them all yourself though!! That is truly a labor of love – I think I would have lost my patience halfway through the seeding process! But it looks great and I’m glad for you that it was worth all the effort. Grape pie sounds so good for Fall! You have more patience than most to spend so much time seeding those little devils! 🙂 Great Job! I have been eyeing a grape pie in my cookbook too, but after hearing the trouble, I think I’ll just bribe someone else to make it! I don’t think I’ve ever had a grape pie, but this looks fantastic!!! Purple does seem to be THE color for clothes this fall. You’re truly dedicated to spend all that time seeding the grapes. The pie must’ve have so delicious.